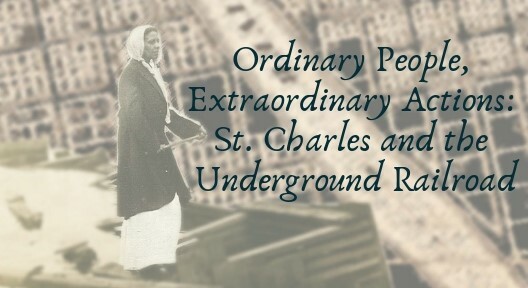 ST. CHARLES, Ill. (February 10, 2019) – The St. Charles History Museum will unveil its new Underground Railroad exhibit “Ordinary People - Extraordinary Actions” at a special grand opening event on Tuesday, February 12 at 5 p.m. The exhibit centers around local folk artist and radical abolitionist Sheldon Peck, exploring his previously unknown connections to regional abolitionist figures, whose work played a crucial role in providing freedom-seekers coming from southern slave states with a safe avenue to find new homes in Chicago and the Great Lakes area. Peck’s artwork can be seen at museums around the United States such as the Art Institute of Chicago, the Chicago History Museum, and the American Folk Art Museum in New York City. The St. Charles History Museum is proud to have a prized original Sheldon Peck painting in its collection which will also be part of the exhibit. New research from the St. Charles History Museum staff explores the local connections between Peck and the Kane County Anti-Slavery Society to other Civil War and abolitionist figures such as Allan Pinkerton, Lyman Goodnow, John Farnsworth, Caroline Quarlls, and others. The new research explores many myths related to local Underground Railroad operations, but also sheds new light on how active communities like St. Charles were in the operations, thanks to the work of local individuals like those involved with the Kane County Anti-Slavery Society. During the special grand opening event, the exhibit’s curators and Museum staff will be on hand to answer questions and guide visitors through the exhibit. The event is open to the public, but RSVPs are encouraged. For more information, visit the Museum’s website at www.stcmuseum.org or call the Museum at (630) 584-6967.